Last December my girlfriend suggested we have breakfast at a place called Little Jerry’s. I knew nothing about it. I looked it up and found the address. It wasn’t too far from the South Tacoma neighborhood I grew up in, but even knowing where it was and what I was looking for, I must admit I initially drove by the place. Then I turned around and we walked into a classic diner with an outright obsession with the TV Show, Seinfeld. It also turned out to be one of the best breakfasts I’ve ever had. 1. What is Little Jerry’s? 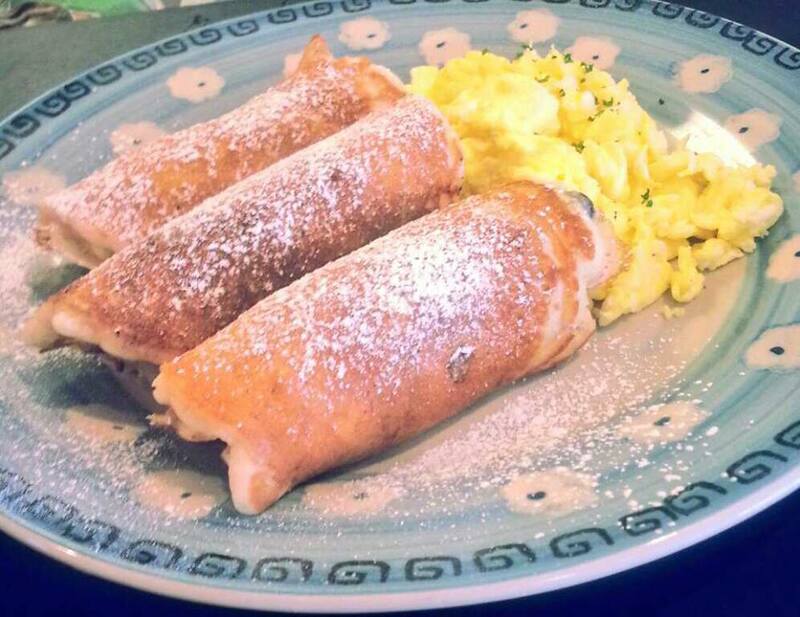 Little Jerry’s is a breakfast & lunch joint. We serve skillets, breakfast stackers, outrageous burgers and sandwiches. . . COME EAT! 2. What makes Little Jerry’s different? Little Jerry’s is different because of our perspective. . . we don’t fit the standard restaurant or diner mold. We make food that we love to eat in an environment that we love. . . Seinfeld. We chose Seinfeld because it is and has been our favorite show. Its content relates to so many people even today, 15 years after its final show. It also has so many correlations with food, and around eating, it all just fell into place. 4. What should someone order if it’s their first time at Little Jerry’s? Someone should definitely try one of our breakfast stackers for breakfast which takes your home fries or hash browns, topped with an English muffin or biscuit, topped with breakfast meat, eggs, and topped with either country gravy or hollandaise. At lunchtime, “The Mimbo” is by far the most popular, a 1/3# burger, fried egg, bacon, nestled between two grilled cheese sandwiches. . . so good! 5. What would you like to see for the future of Little Jerry’s? I’d like to thank Tony for taking the time to participate in 5 Question Friday. If you’re a local or even if you’re just passing through town, you owe it to yourself to stop by. I highly recommend it. 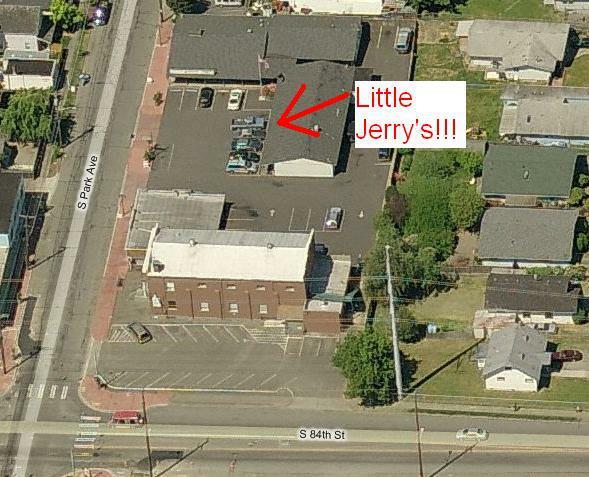 Little Jerry’s is located at 8233 South Park Ave. If you’re heading towards 84th Street from the direction of the Mall it’s on the left hand side. If you or someone you know would like to participate in 5 Question Friday, drop me a line at jackcameronis@gmail.com. This entry was posted in 5 Question Fridays, Tacoma Places and tagged Little Jerry's, Seinfeld, Tacoma Breakfast, Tacoma Restaurants. Bookmark the permalink. I pride myself on knowing decent restaurants in the area and had no clue about little Jerry’s! I can’t wait to check it out!